old fart, in addition to not knowing BB, is too stupid to get the sarcasm. You're the one who repeatedly said Sun Yue had plateaued, which is RIDICULOUSLY WRONG !!! And you're also the one who said Wang Zhelin is slow footed and plays with both feet nailed to the floor, which is again RIDICULOUSLY WRONG !!! SO WHERE IS THE SARCASM ??? old fart, your record, as far as talent evaluation, has been abysmal. all you do is parrot the words of others and hold them as being gospel. you are well-educated and opiniated. yet on matters related to basketball---in particular, assessing talent---you're unable to articulate your own opinion. i can only conclude that you, despite having followed BB since Yao joined the NBA in 2003, still don't know the game. i have watched several clips of your new hero. this is my opinion. he is slow, like Bateer. but he is not as strong or athletic as Bateer in his younger days. assuming that he gets to the NBA, if i am coaching the opposition i'd use a more athetic big on him. IF you REALLY have watched HOW Wang Zhelin played, you would not have said he is slow footed and plays with both feet nailed to the floor. Wang Zhelin needs to improve on his defense, but that did not mean he was slow to run back to the back-court. With added strength and power on his upper limbs, he is starting to dominate on the glass, and averaged double-digit rebounds so far in the league, ranking him amongst the expat players in the Top 10..... and he averaged 1.5 block shots per game. All good signs for him in his improvement in defense. On offense, if you have REALLY watched video clippage of how he played, he seldom had his feet nailed to the floor; he is good with no ball movement, and has decent ball handling capability, and he very often dribbled and spinned around his opponents down from the baseline, and then used his low post footworks, pump-faked his opponents to score either layups, reverse layups or dunks. And he plays with the kind of patience within the paint belying his age. He waltzed around his opponents, and very often able to score or got fouls for his free throws, averaging at least 10 free throws per game. He is also quick in grabbing offensive rebounds for put-backs or tip-ins or second chance offensive possessions. He had become his opponents' headache down in the low post. Did you REALLY watched HOW Wang Zhelin plays ??? 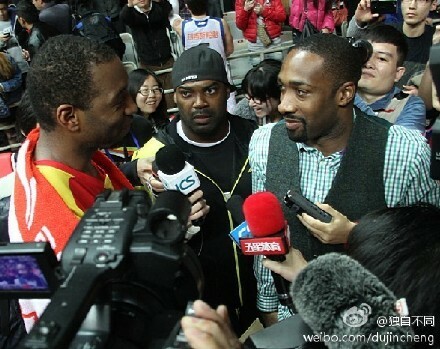 So the first win for Tracy McGrady and his Qingdao Double Star Eagles is SOOOOOOOOOOO DIFFICULT to get. And the usually big mouth and arrogant Tracy McGrady must now regret that he boasted about winning the CBA Championship for Qingdao !!! 4L 0W. Despite playing without Gilbert Arenas, and DJ White only contributed 9 points (3/10 FG% 3/6 FT%), 11 rebounds and 3 block shots, Shanghai MAXXIS Sharks gave a spirited and gallant performance to lead from start to finish to beat Tracy McGrady & Co. 93 ~ 77. Tracy McGrady did not exactly play bad, but he was double-teamed or triple-teamed by the Sharks whenever he had the rock. And this Qingdao team is just too weak and could not provide him with support or make open look shots and wasted alot of TMAC's efforts. Tracy McGrady scored 23 points (4/10 FG% 0/3 3-pointer% 15/18 FT%), 9 rebounds, 3 assists and 2 block shots. Only one other Qingdao player was in double-digit scoring; Zhao Yonggang contributed 14 points (4/11 FG% 2/6 3-pointer% 4/6 FT%). 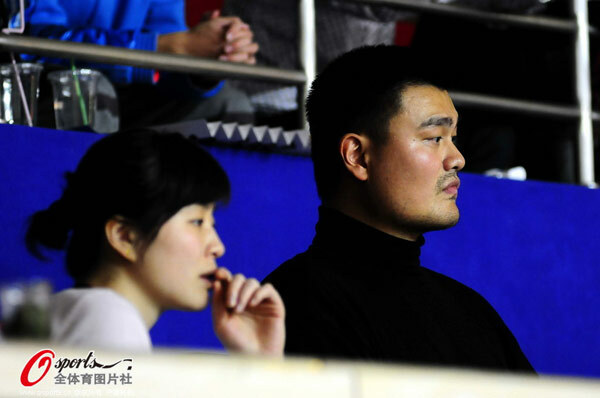 The rest of the Qingdao team seemed like day-dreaming on the court. The other expat Ilunga Mbenga just scored 4 points/4 rebounds, and probably will get his pink slip soon. 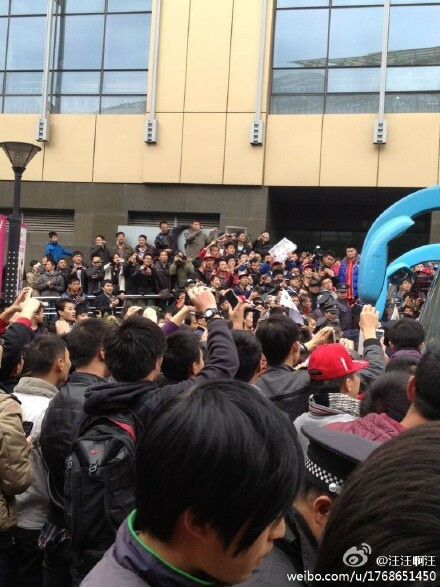 Shanghai MAXXIS Sharks meanwhile gave their best performance of the season in front of their boss Yao Ming. Their offense was pretty fluid, and they played water tight defense on Tracy McGrady. Their captain Liu Wei gave one of his best offensive and defensive performance for years; he had a double-double of 28 points (8/17 FG% 0/2 3-pointer% 12/13 FT%), 12 rebounds, 5 assists and only 1 turnover. Their Chinese Taipei player Tseng Wenting also had his best performance since joining the Sharks last season. Tseng scored 18 points (5/10 FG% 0/2 3-pointer% 8/9 FT%), 7 rebounds and 2 block shots. So Shanghai MAXXIS Sharks FINALLY shook the monkey off their backs, and snapped their losing streak of 3 to get their first win of the season, courtesy of Tracy McGrady & Co.
And the SCENE (meeting of Yao Ming and Tracy McGrady) MOST ANTICIPATED by millions of Chinese basketball fans did not take place during game time. Tracy McGrady and his wife (CleRenda Harris) arrived Shanghai on Saturday (December 1). 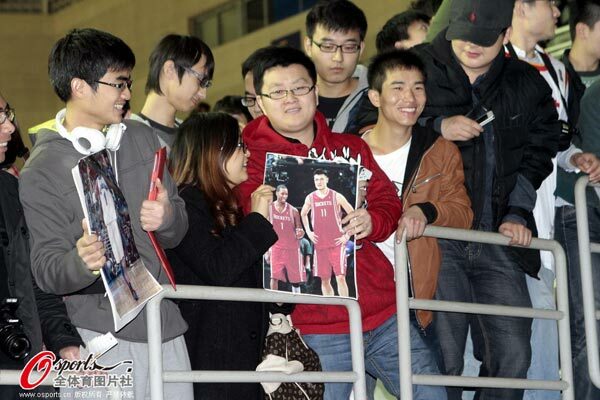 CleRenda had arrived Qingdao during the Thanks Giving holidays, and therefore travelled togther with TMAC to Shanghai to see Yao Ming (and Ye Li) before departing for USA from Shanghai. Yao Ming contacted TMAC through the Qingdao working staff and invited him (and wife) for dinner Saturday evening. That dinner did not take place and had to be postponed, as the Chinese head coach of Qingdao had arranged a team meeting at 20:00 pm, and therefore did not approve leave of absence for Tracy McGrady. 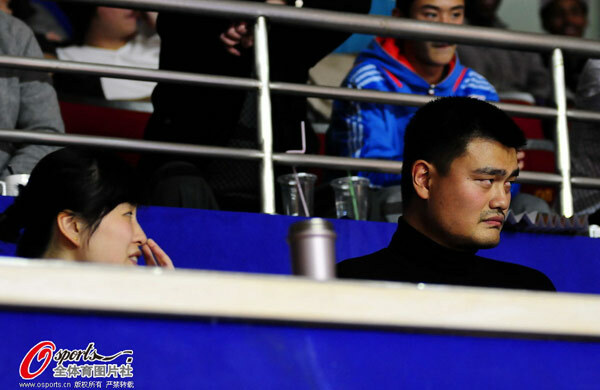 Yao Ming nevertheless showed up by the court side with his wife Ye Li for the game that commenced at 16:00 pm. on Sunday. In 3Q, during the free throw rite of the Sharks, Tracy McGrady turned around, pointed his finger towards the direction of Yao Ming at the box seat and salute him with a thumb-up !! 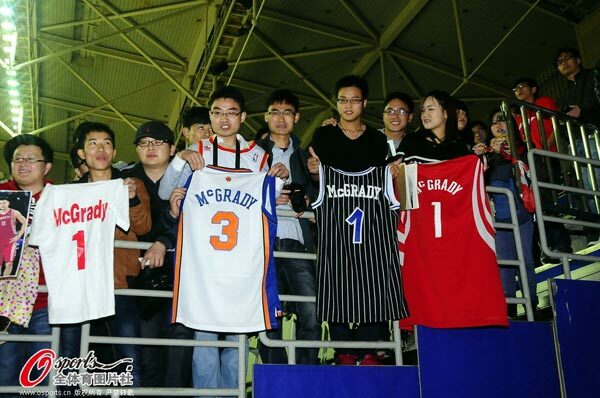 And right after the game ended, Tracy McGrady and his wife left Pudong Yuanshen Stadium on a limousine pre-arranged by Yao Ming. The limo took TMAC and wife back to their hotel for their showers and changing before taking them to a dinner (of authenic Shanghainese cuisine) hosted by Yao Ming and Ye Li. 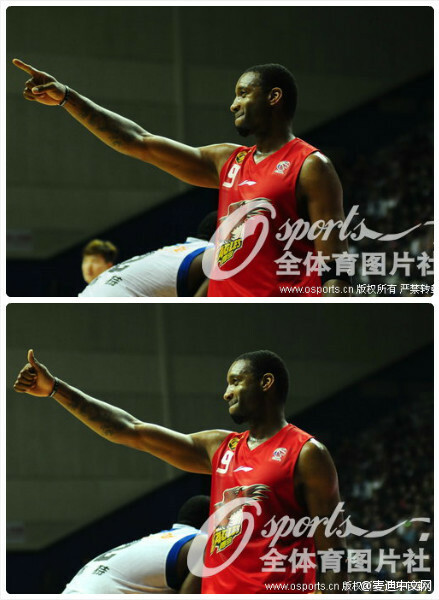 Some off court photos of this game between Qingdao and Shanghai. (PRY) Don't get forced into a trap defending a side you don't feel strongly confident about. I actually agree with Dr. No's assessment of him being a bit "slow-footed". It's not an asinine statement. he doesnt have that much lift. ... his gather and elevation take a bit slower than would be successful in the NBA. Yao Ming himself has admitted, Wang Zhelin is ALREADY STRONGER in terms of skills, ball handling, low post moves and power than when Yao Ming was 18 years old. Well, let's see HOW Wang Zhelin fares tonight playing against a more experienced and taller 2.21M/7ft 3 Peter John Ramos and 2.16M/7ft 1 Wang Zheng, as well as the 6ft 8/2.03M Al Thorton of Zhejiang Guangsha Lions, then we might have a BETTER IDEA of WHERE Wang Zhelin stands in terms of playing against some proven NBA players. Is this Ramon even an experience NBA player? This Ramos and Yao Ming nearly went into a fight after they stared at each other during a Chinese national team game. 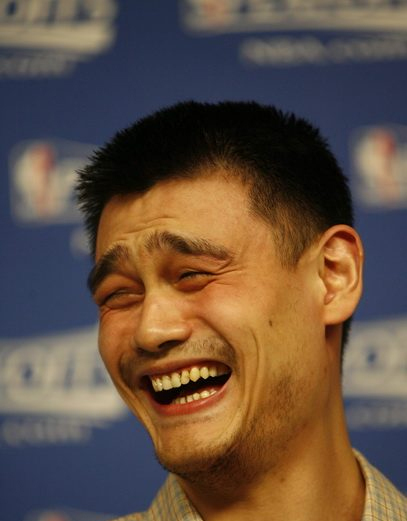 It looks like Yao Ming still has the desire and the capability to play a few more years. He should let himself just dominate the center position. Why can't he hit free throws? Shaq couldn't and never could shoot free throws either. I am now convince Wang Zhelin should be in the NBA. He is putting up big numbers against ghetto black guys with tattoos... and he is only 18 years old. Sure, he doesn't have Yi's hops... but Yi doesn't have Zhelin's post moves either. I think Zhelin has learned something from Yao... because i see the Shanghai shake in his highlight reel. Are his highlight reels on youtube yet?